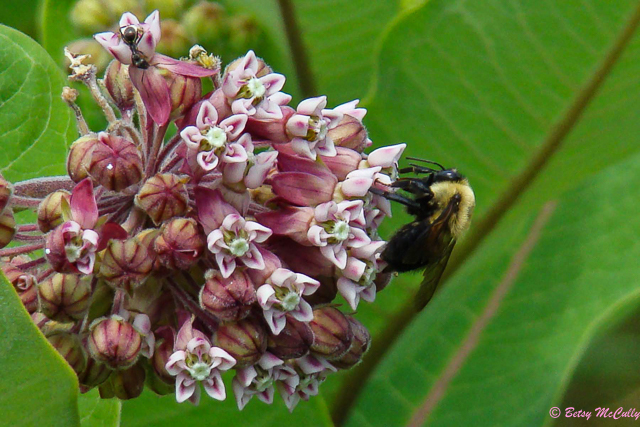 Common Milkweed (Asclepias syriaca). Apocynaceae family. Native. Fields, roadsides. Long Island, 2017. Pollinated by bumblebee, unidentified species.